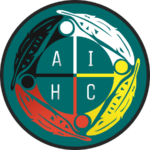 The American Indian Health Commission is leading the effort in drafting and lobbying for the passage of the “Washington State Indian Health Care Improvement Act.” The purpose of this bill is to (1) reduce American Indian/Alaska Native (AI/AN) health care disparities which will improve AI/AN overall population health and provide cost savings to the state; (2) preserve the government-to-government relationship between the state and tribes by mitigating impacts from the shift of state responsibilities in providing health care to non-governmental actors; (3) support Indian health care providers who have been providing primary care to non-American Indians and Alaska Natives for decades in areas where few to no Medicaid primary care providers exist; and (4) address longstanding inefficiencies in Washington’s Indian health delivery system. The Commission will regularly post the most current draft of the bill. The draft will frequently change as we continue to receive edits and feedback from tribal representatives, urban Indian representatives, and tribal organizations. Please note that if you have submitted comments/edits and they have not yet appeared in the draft, we may still be working to incorporate them. If you have any questions about your prior submissions or would like to submit additional edits/comments, you may do so by emailing Heather Erb at heather@erblawfirm.com/.